That is beautiful! 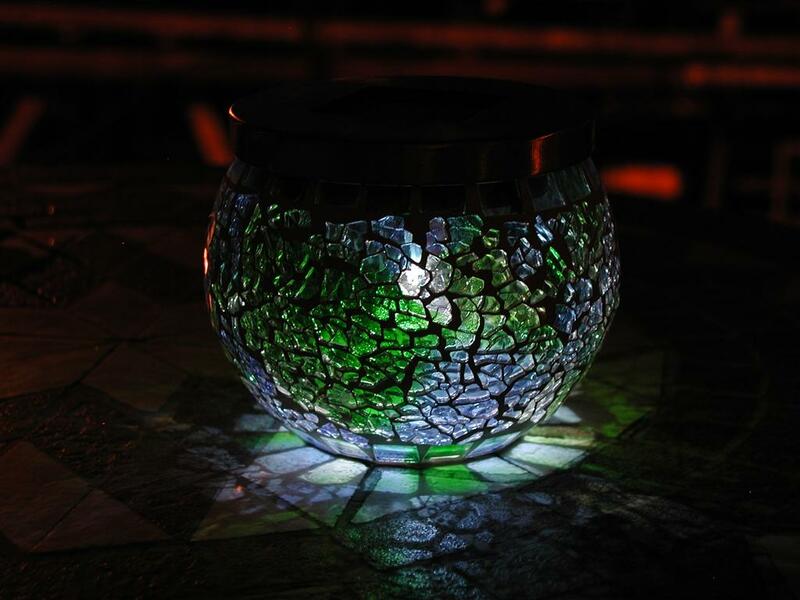 I had never heard of sunjars before (as an domestic ornament, that is; obviously I'm aware of garden solar lights) and very much like the idea of choosing such a beautiful bowl as the container. Did you make yours or buy it ready-made? Bought ready-made from Lakeland Plastics - it's this one. I picked up a bronze one at the same time, but I prefer the blue/green one. I also got given an actual sun jar as a present a few years back, but that one ended up getting some moisture trapped in the lid and needs repair (the PCB delaminated itself! ).